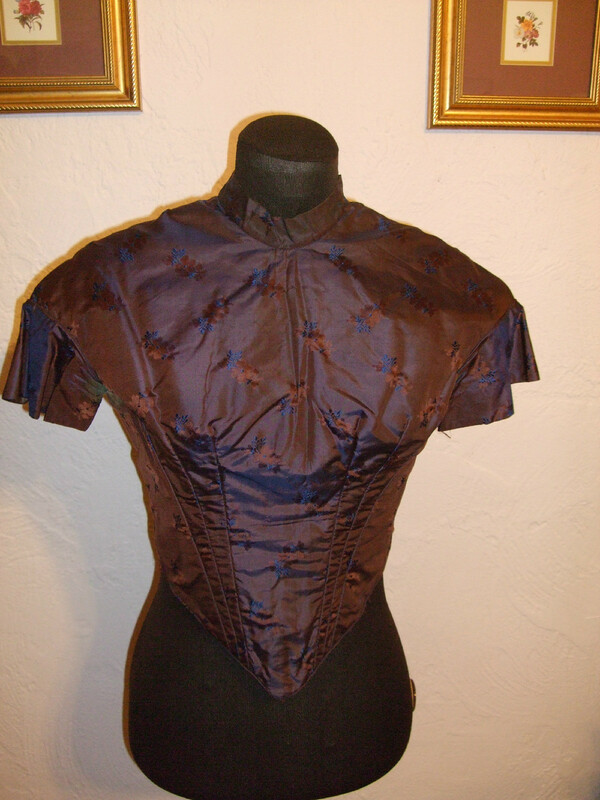 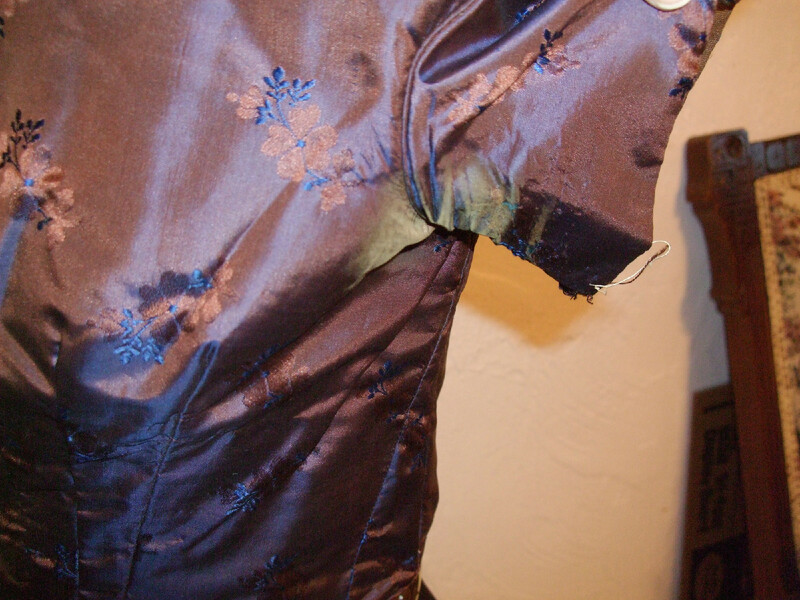 Currently available for auction is an Original 1840-50s pre-Civil War Purple Iridescent fitted bodice. 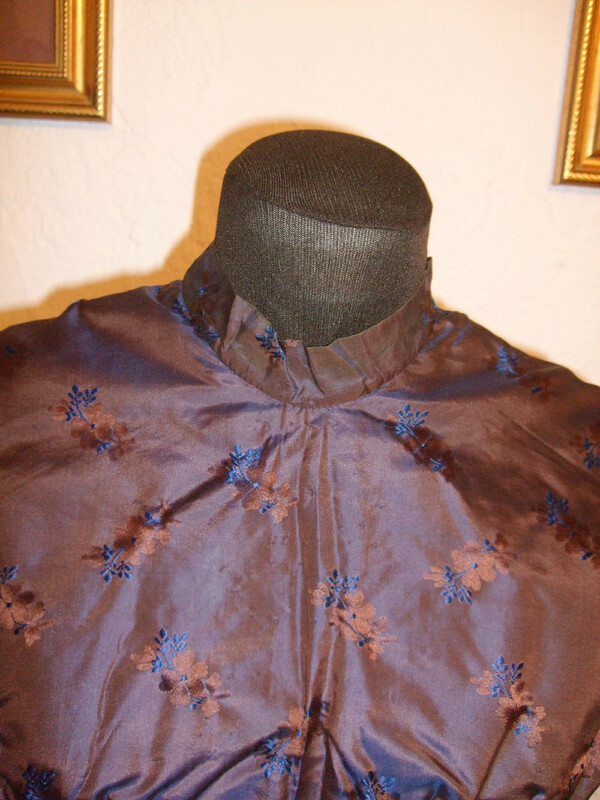 The fabric is a beautiful purple, red, brown and blue silk tone-on-tone and the lining is polished cotton. The bodice closes up the back with thirteen brass hook and eyes. 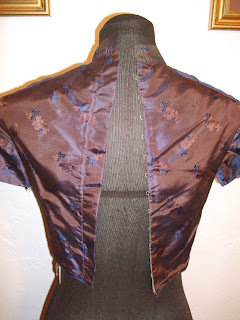 Measures: Bust 32, Waist 24, Hips , Shoulders 15, Sleeves 5 1/2, Neck 13, Length 15 1/2 (shoulder to hem), Cuff 12. The bodice is in good to excellent condition with the under arm stain, no rips, no tears or no holes. 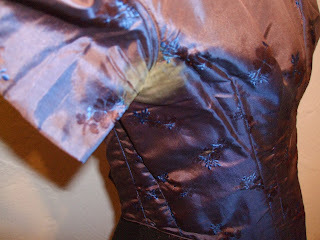 Now for all of the stuff that no one reads... All sales are final. 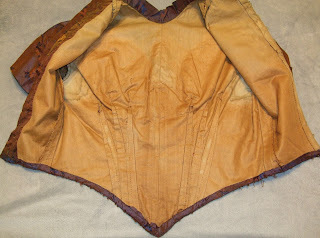 Very 1840's in style. Long torso, the shoulders, and the cute lil sleeves are all indicative of the 1840's.